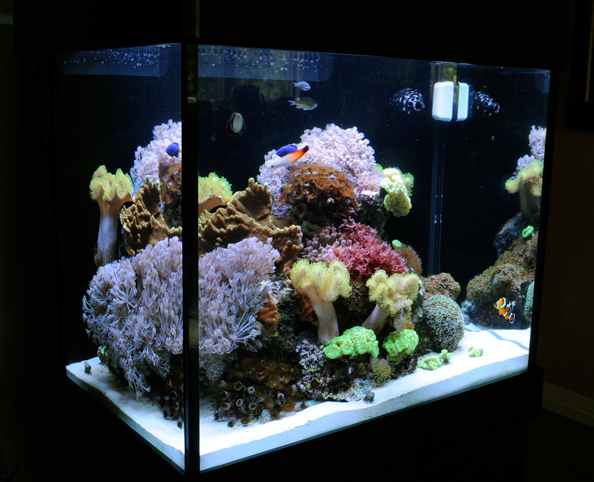 We maintain 2,125 gallons of saltwater aquariums ensuring a great selection of corals, invertebrates, cleaners, and fish. We keep over 200 fresh water tanks on display with a variety of tropical fish, shrimp, snails, plants, micro fish, and large predators. We carry Boulder’s largest selection of exotic reptiles, amphibians, arachnids, and insects from all over the world. Aqua Imports is a locally owned and operated business serving Boulder, CO and the surrounding area since 1989. We have a knowledgeable staff with many years of experience in the pet industry. We have the largest selection of livestock in the area, including a wide selection of freshwater fish, saltwater fish, corals, plants, reptiles, amphibians, and invertebrates. We offer aquatic services and carry all products and supplies needed for your fish, corals, and reptiles. Please visit our store today, we guarantee a one on one interaction with a trained and enthusiastic team member who will guide you with the best information possible. Great store!! The staff was friendly, helpful and knowledgeable. There are so many animals and accessories to choose from that we almost walked out with a whole additional aquarium instead of the two fish and a plant that we came for. The prices were great too. This is definitely our go-to aquarium store from now on. Great store great people! They are very helpful in helping you understand your hobby. They don’t pressure you to buy, instead, coach you on how to go about things the right way. Aqua Imports is a great fish store. Healthy fish, clean tanks and knowledgeable staff. The store keeps getting better and better every time I shop there. 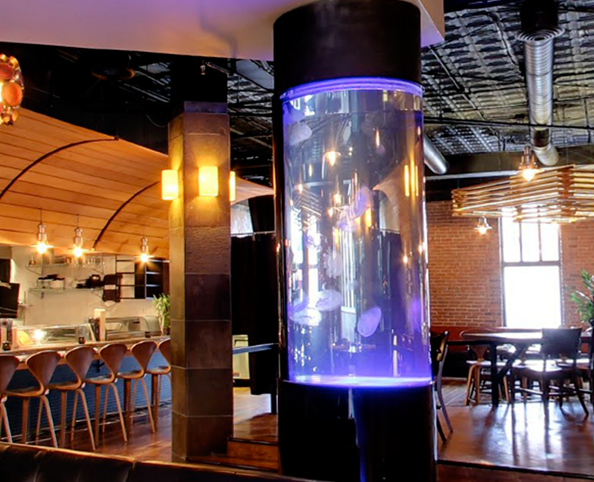 I frequent this place quite often and am generally impressed with the attentiveness of the staff and the selection of fish. I’ve never seen such variety in an aquatics store. Awesome and healthy selection! Very friendly and knowledgeable staff. The only place I will buy my fish. My favorite spot in Boulder for the aquarium hobby. Large selection of fresh and saltwater pets, reptiles, and all of the accessories you would need. Give them a chance and you may be pleasantly surprised. Here, you’re always greeted and you’ll never have trouble getting help. During weekdays there’s a good amount of staff on hand. There’s a great variety of both saltwater and freshwater fish, plus live plants – a huge bonus. I’ll be coming back frequently! We bought a beautiful Sailfin Tang from this clean and friendly store Aug 2013 and he is doing great. Happy and active! We plan to buy some more fish from them very soon. Since moving from Chicago to Colorado, we have struggled to find a reliable fish store. Highly recommended! 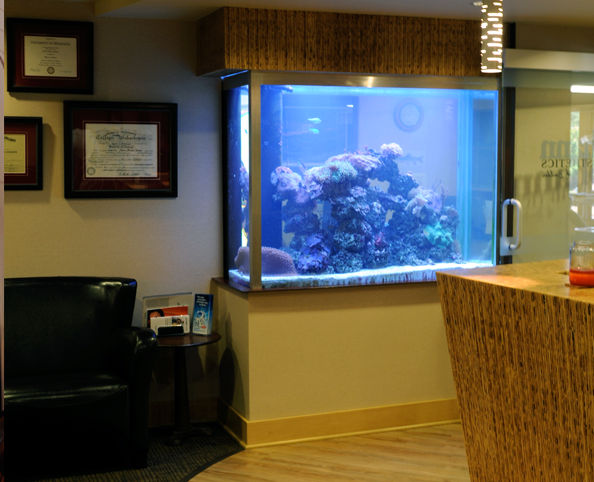 We offer custom and semi custom aquariums, terrariums and reef tanks specializing in design, installation and maintenance for your office or home. 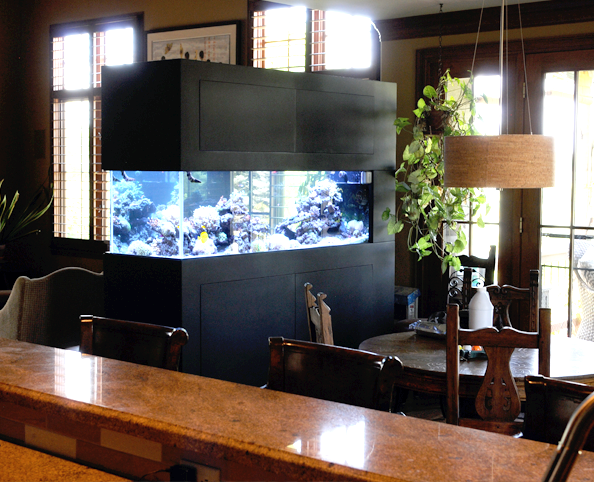 We have a highly trained staff that will ensure your aquarium always looks its best. One monthly fee covers maintenance, livestock, food, and equipment. 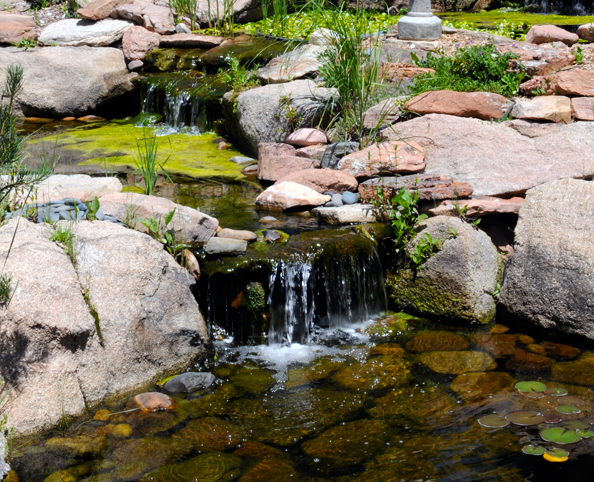 Our expert staff is on call to fix or maintain any aquarium, pond, or terrarium in Colorado. We offer flexible scheduling and no job is too big or too small. Rates start at $75/hr. 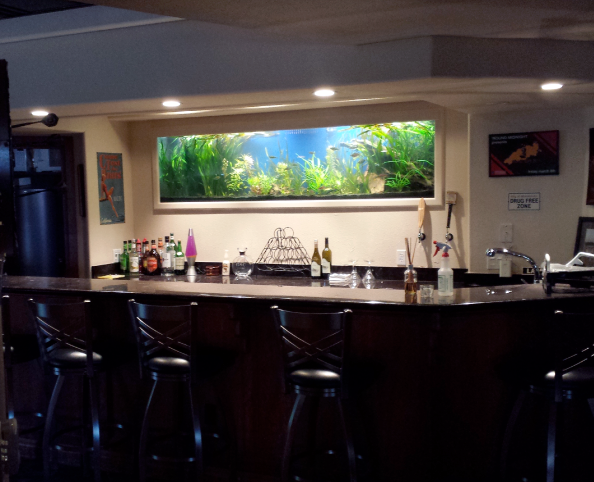 Give us a call today to get your aquarium looking its best. If you are in need of more education or have questions we are happy to help. You can call or stop by anytime and pick our brains. There’s no such thing as a bad question. We are happy when our customers are successful with their animals. If it’s available, we’ll get it for you. Some orders may require a deposit and some items are seasonal. Give us a call for more info. We offer complete aquarium packages – just ask us! Everything you need to set up a thriving environment. Easy and affordable! Call 303-444-6971. We offer leasing and maintenance specials – just ask us! Make your pond, terrarium, or aquarium maintenance free today! Call 303-444-6971. Lease a custom or standard display which includes all livestock and equipment fully guaranteed. From a complete system to custom furniture, our dedicated team of experts are ready to help with any project, big or small. Aqua Imports has been able to stay competitive with online retail and the large box pet stores with our dedication to customer service and the quality of our livestock. These values have kept us in business with a loyal customer base for over 25 years. As hobbyists ourselves, we strive for the best care of our animals and the continuing education of our customers. How do I treat fish disease? Most likely caused by poor water quality or an environmental parameter out of line. Check the nitrogen levels, temps, salinity, etc and rectify any issues. A treatment of malachite green or copper can then fix parasite issues and an antibiotic can treat for infections. Why wont my reptile eat? The heat is not optimal for digestion and metabolism. Also check that the photoperiod is long enough to mimic summer hours when they are most active. Humidity and UVB levels should also be monitored if required. Often enough to dilute any issues that build in the aquarium. This is normally a buildup of organic matter or nitrate. Our recommendation is to purchase a nitrate test kit and change water as needed to meet the necessary safe levels for your inhabitants. For some this is 10% once a week and others once a month. It is dependent upon bioload and amount of feeding. Keep in mind you have an enclosed system, nutrient input should equal nutrient output for a healthy environment. Why is my tank cloudy? Green cloud is an algae bloom. This can be remedied by employing a uv sterilizer or diatom filter. Results are fast and it acts as a good pathogen preventative as well. Grey/white cloud could be from sediment suspended in the water column. A flocculating agent will easily settle the particles and return the tank to normal. Another grey/white cloud could come from bacteria suspended in the water column. This occurs often in a new tank or a tank that has been “over cleaned.” Let the tank settle down and don’t disturb the substrate. Overfeeding can also cause these issues. A water change to remove any leftover food will help get the cloudiness under control. Why is my coral turning brown? There are many reasons this could happen. Bring a water sample in to our store and let us help you trouble shoot the issues. Also make note of your water temperature, filtration, and equipment so we have the whole “scoop” before you come in. Why do I have so much algae growth? Too much light and nutrients. Algae need nitrogens and phosphorus along with light to grow. Light in most tanks can’t be eliminated, but could be reduced and there are very low requirements for nitrogen and phosphorus with most animals. Feed less, reduce light, do more water changes, employ some phosphate scavenging medias.